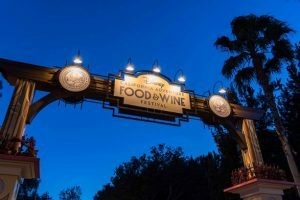 50 Must Eats in Walt Disney World. 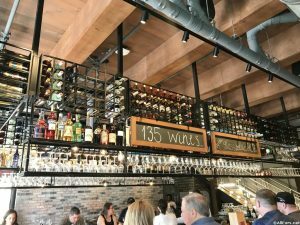 In no particular order, here are our picks for the must eats and drinks -- how many have you tried? 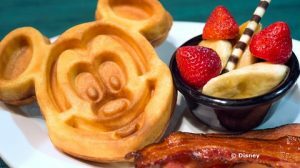 The big news around Walt Disney World this week was the price increase of many snack, beverage and other menu items at Disney restaurants and snack carts. 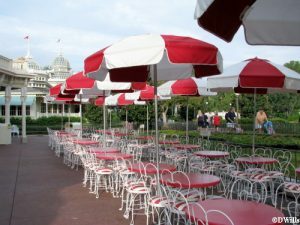 This is just one of several reasons to consider bringing your own food into the theme parks. But is it even allowed? The simple answer is yes. 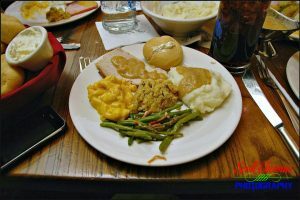 No one … Continue reading "Can I Bring My Own Food into a Disney World Theme Park?" Dining with old and new friends inside the Biergarten restaurant of Epcot’s Germany pavilion at Epcot’s World Showcase.Nikon D70/Tokina 11-16mm, 1/15s, f/2.8, ISO 1250, EV +1.0, 11mm Focal Length. 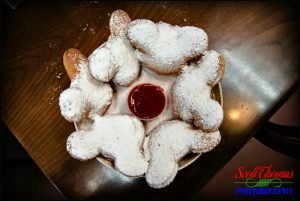 Dining at the Biergarten restaurant inside the Germany pavilion at Epcot’s World Showcase is a great way to meet new people from all over the world … Continue reading "Disney Pic of the Week: Germany Dining"
Sweets from the Boulangerie Paitisserie les Halles in the France pavilion.Nikon D750/16-35VR, 1/250s, f/5.6, ISO 560, EV 0, 16mm Focal Length, Bounce Flash. 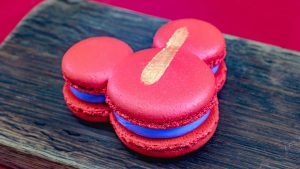 I know a new ride is coming to the France pavilion in Epcot’s World Showcase but, for me and my family, the Boulangerie Patisserie les Halles will always be our top attraction … Continue reading "Disney Pic of the Week: France Sweets"